Today’s file additions for NBA 2K17 PC feature a couple of retro TNT presentation mods, based on the 1996 season. Download them at the links below! We’ve got a new NBA 2K17 mod release to share today. Bongo88 has recently uploaded an ESPN transition wipe, which you can download at the link below! The latest file additions for NBA 2K17 PC include a new portraits pack, and some fantastic face updates converted from NBA 2K18. Check out all of the new releases at the links below! 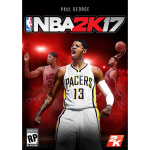 I’m a little late in posting this, but we recently received a new file addition for NBA 2K17 PC. Rdaws has released a 2018 season dorna update for the Detroit Pistons, which you can pick up at the link below. Bring NBA 2K17 PC up to date with today’s file additions, which include court updates for the Timberwolves, Trail Blazers, and 76ers. Download all of the latest releases at the links below! A majority of our modding community has moved on to NBA 2K18, but we do have a new file addition for NBA 2K17 today. 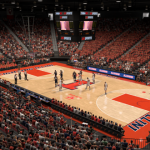 Rdaws has released a new Pistons court update for the 2018 season, and you can check it out at the link below. 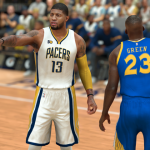 With the release of NBA 2K18, modding for NBA 2K17 is naturally beginning to slow down. However, there is a recent addition to catch up on, as pinoy21 released a new 2018 season jersey update for the Phoenix Suns. Check it out below! Incidentally, pinoy21 is already creating some great jersey updates for NBA 2K18, so be sure to stay tuned for the upcoming releases! 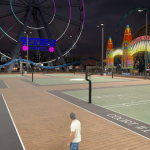 Even as we enter the final countdown to the release of NBA 2K18, our community continues to create great mods for NBA 2K17 PC. The latest releases include a couple of 2018 season jersey updates from pinoy21, and the final version of the comprehensive FIBA 2K17 mod from Shuajota and Edudu_10. Check them out at the links below!